A candidate needs to demonstrate that they are the right fit for your job, but your dealership also needs to show a candidate why they should want to work for you. Putting your best foot forward is a two-way street, especially when you are trying to attract elite candidates. The best of the best in the automotive industry can often have their pick of where they want to work, so how do you attract top-level job candidates to your dealership? Just as you sell the benefits you offer to customers, you need to ensure candidates understand the benefits of working for your dealership. This goes beyond discussing your share in the market or the product you represent. A top-level automotive candidate is looking for a connection with you and your organization. In addition to income opportunity and benefits, elements like community involvement, inter-department communication efforts, outstanding co-workers or regular social events can make your dealership stand out from others competing to attract a top-level candidate. Know what makes your organization great, and ensure the candidate understands that, too! As a recruiter I often have candidates lose interest after not hearing back from a dealer after an interview. Candidates can feel disrespected if they are not kept in the loop, and they may wonder what that lack of communication says about working at your dealership. Show respect to your job candidates by remembering that their time is just as important as yours. Respect their interest in your dealership, and the time they took to discuss the job opportunity with you. Even if the candidate and job are not not a fit, communicating clearly and quickly is key. 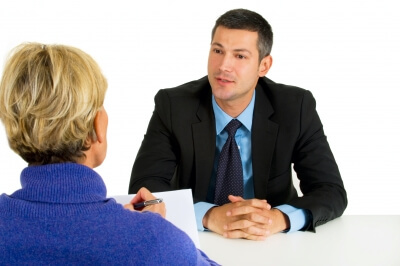 How you treat job candidates could also impact future hiring potential. The automotive industry can be a small world, and a bad experience for a candidate could also leave a bad impression with his or her colleagues. Administrative work for new hires needs to be done, but should not be your first step with engaging top-level candidates. To get him or her excited about your organization you need to sell the benefits and show respect for your candidate. Requiring a potential employee to fill out paperwork or complete tedious applications (that often repeat what is already stated on a resume) can quickly take the wind out of that candidate’s sails. These administrative steps are necessary, but save them until after both parties have expressed interest and the candidate is ready to come work for your dealership. It is important to remember that top-level automotive professionals are evaluating you and your organization as you evaluate them. Sell the benefits of the opportunity, show respect and avoid unnecessary paperwork to leave a lasting impression and attract great job candidates to your dealership. To learn more about engaging automotive candidates, or to request a search, contact me!